The SM-3NVTV VARIO is a high performance day/night system of observation designed for observation and registration of moving and immovable objects in daylight and at night. Built over exclusive digital technology the SM-3NVTV VARIO operates during the night as well as day without interruption of its operation. The unit is based on the silicon high-sensitive CCD sensor with special system of electronic accumulation and multiplication of a signal. The SM-3NVTV VARIO provides wide range of operation from 0.0005 lx (starlight) to 50 000 lx (bright sun). Specially designed variable lens system allows viewing a human figure in wide range of magnifications and fields of view. 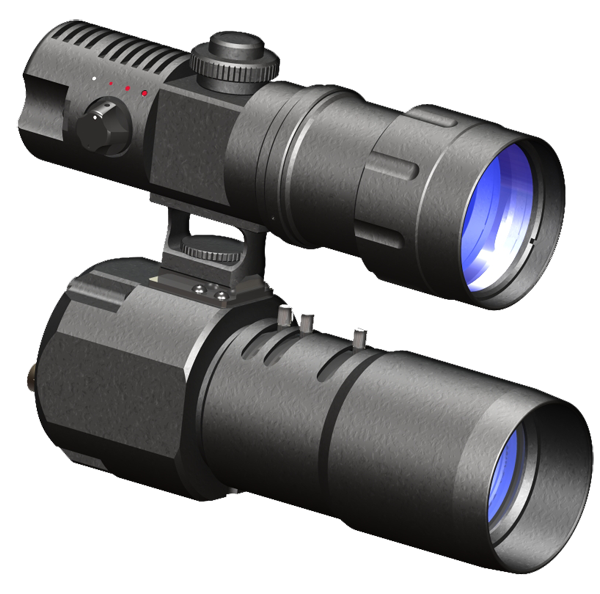 High-power laser infrared illuminator (not included in standard kit) allows observing objects in active mode on the distance more than 1000 meters.